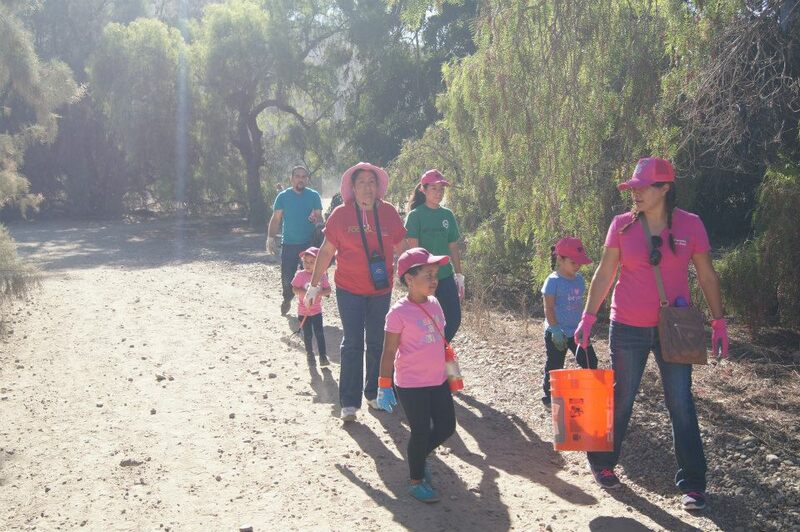 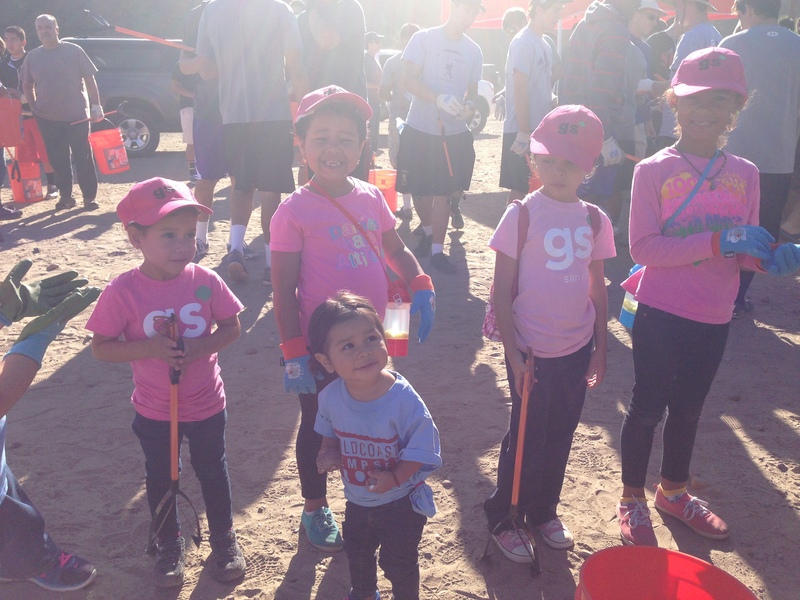 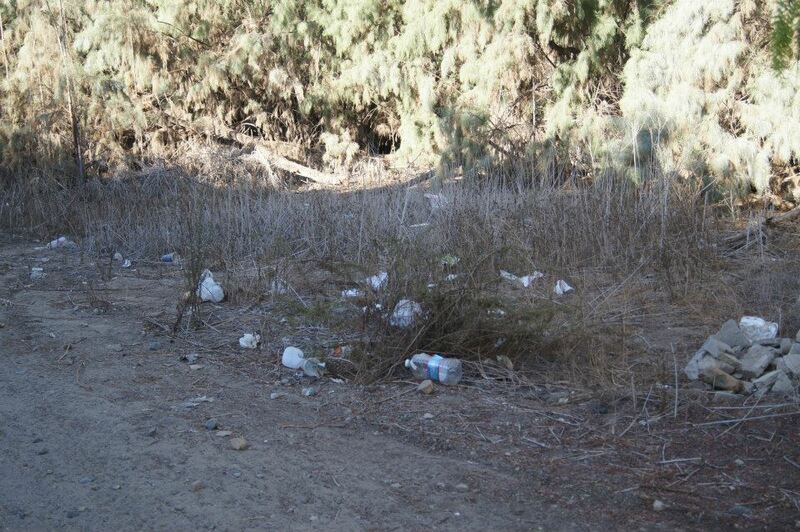 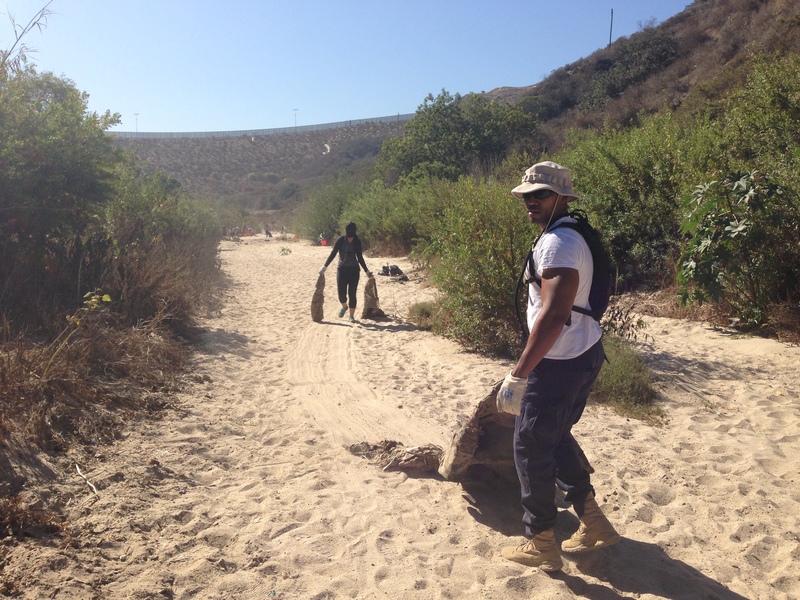 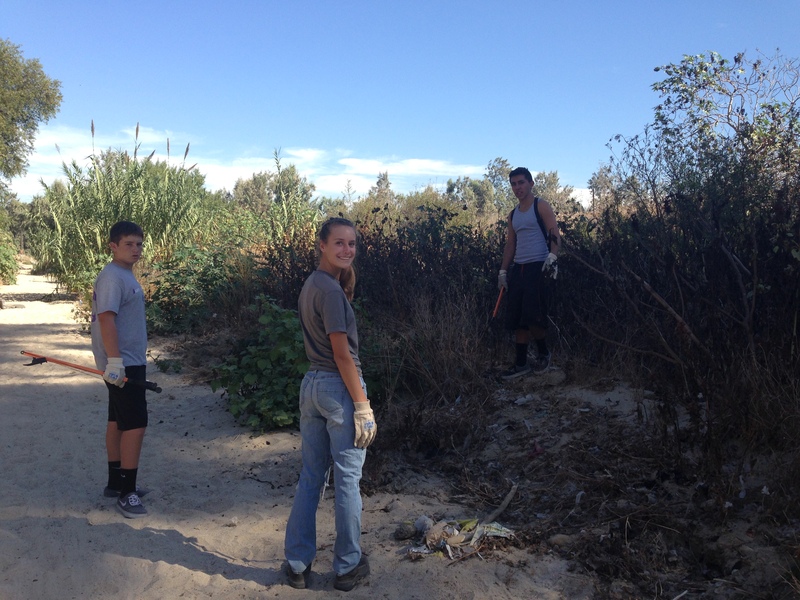 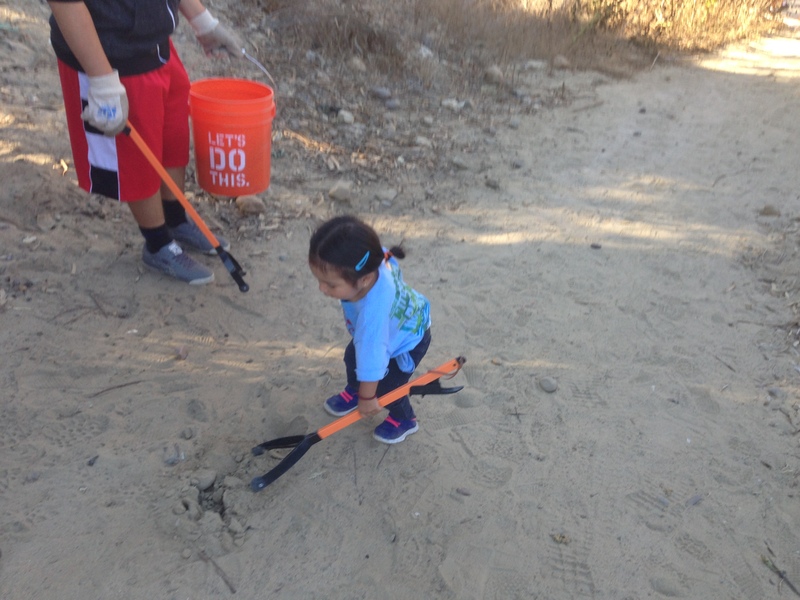 Volunteers removed 5,740 pounds of trash from the Tijuana River Valley! 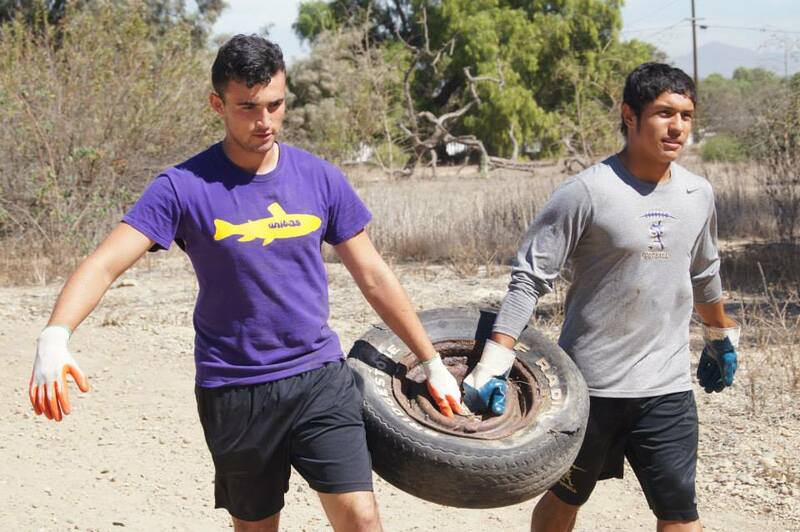 On Saturday, Oct. 4th, the weather was hitting 85 degrees that morning, but 165 volunteers showed up and removed 5,740 pounds of trash from the Tijuana River Valley! 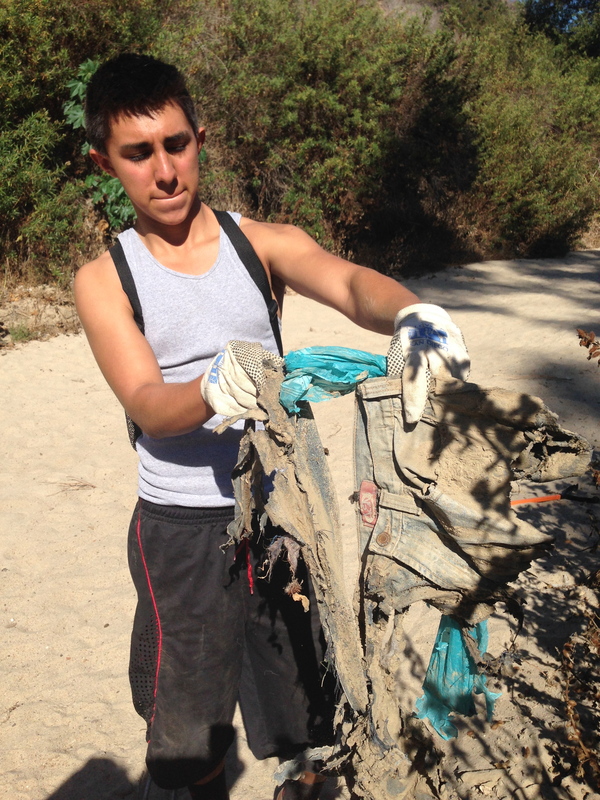 THANK YOU to all the wonderful volunteers that helped remove items like: plastic bags and bottles, toys, tires, items of clothing, even car bumpers! 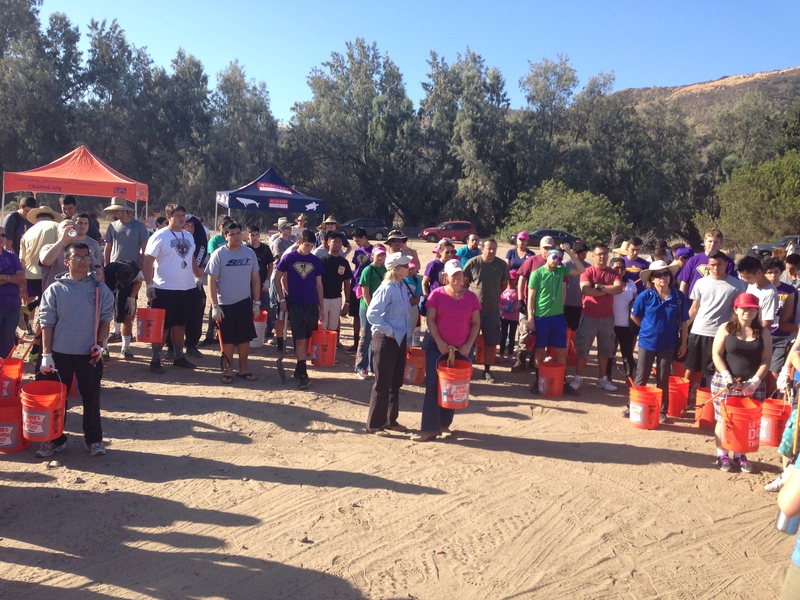 We couldn’t have done it with out the work of all our amazing team of volunteers. 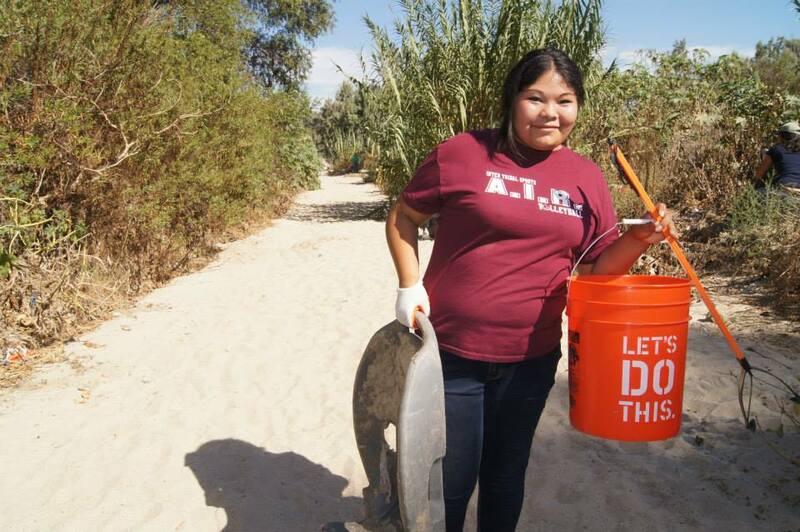 There are a couple more events left in the Tijuana River Action Month so please visit http://www.tjriveraction.net/ for more information on all upcoming events. 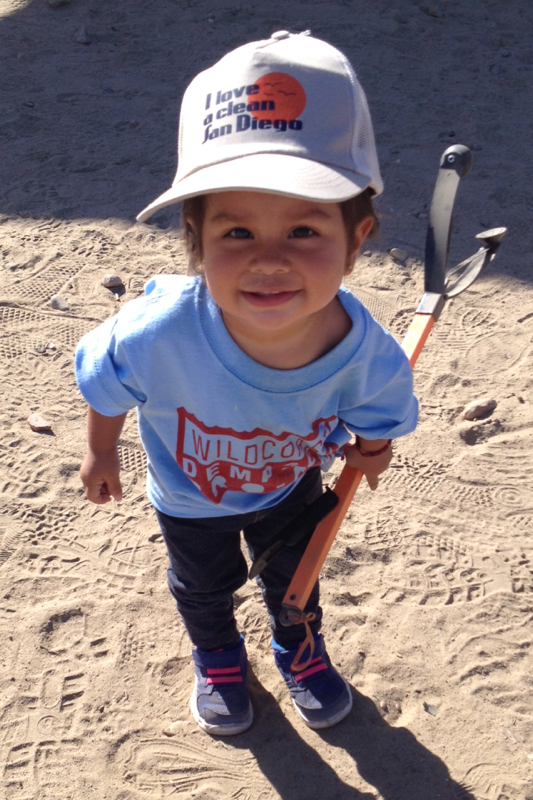 Our tiniest volunteer, ready to pick up some trash!